GABORONE, Botswana – When Joseph Chuma was born in 1966, the new Republic of Botswana had just one public secondary school in a nation the size of Texas, and not a single university. Even by the time he graduated from high school, there were no courses that would allow him to pursue his engineering dreams. So the government paid young Chuma’s way to Britain, the nation’s former colonial ruler, until he finally emerged with one of the first two engineering doctorates ever awarded to a Botswana citizen. When he returned to Gaborone as a lecturer at the University of Botswana in 2001, the fledgling school of engineering was dominated by British and other expatriate faculty members. In engineering education, at least, Botswana still was not ready to declare independence. That time has now arrived. Chuma, the university’s first Botswana-born dean of engineering, is involved in a radical transformation in the southern African nation that has brought the outsourcing of engineering education to a halt. Until last year, the government was still supporting hundreds of engineering students at universities abroad. At Chuma’s urging, Botswana ended the long tradition in order to bolster its own engineering offerings. Mining engineering, which was subcontracted to the Missouri University of Science and Technology for several years, gradually is being transferred to Gaborone to develop domestic expertise for a nation built by diamond mines. Master’s programs have sprung up in several departments. And this year, Chuma will confer the first doctorate of engineering ever to be granted on Botswana’s soil. The decision to educate nearly all engineers within its borders was so momentous for this developing country that it was extensively deliberated by President Ian Khama and his cabinet. Decades of lavish investment in overseas scholarships had paid off in a well-trained vanguard that helped make Botswana the fastest growing country in the world from its birth to the end of the 20th century. Before opting to pull the plug, recounts Marcus Maedza, director of the Department of Tertiary Education Financing, the president requested further information on placement trends of engineers educated both within Botswana and overseas. “Twenty years ago we were a very poor country,” notes Chuma. “Now we can achieve more, which is why we have taken this bold decision.” Indeed, homegrown engineers are crucial to developing Botswana’s economy beyond the diamond mines that currently supply about a third of GDP and the bulk of export revenues. Despite an abundance of steady sunshine and a national policy of promoting renewable energy, for example, solar power has yet to gain traction except for home water heaters and a 1.3-megawatt generator being built in Phakalane. Engineering opportunities also abound in helping the country tap substantial natural gas deposits discovered in the northeast. 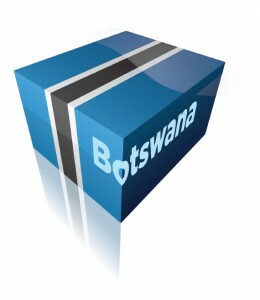 If nothing else, the move improves Botswana’s balance sheet. Training an engineer locally never exceeds $5,400 a year, including living expenses in the capital city. But overseas courses set the government back $15,000 or more. Maedza, whose department covers university fees for all students at home and abroad so generously it commands a bigger budget than the entire Ministry of Defense, estimates Missouri S&T costs $54,000 annually per student. He calculates that the first year of keeping new engineering students in Botswana saved the public more than $70 million. For universities, the benefit is measured in human capital. 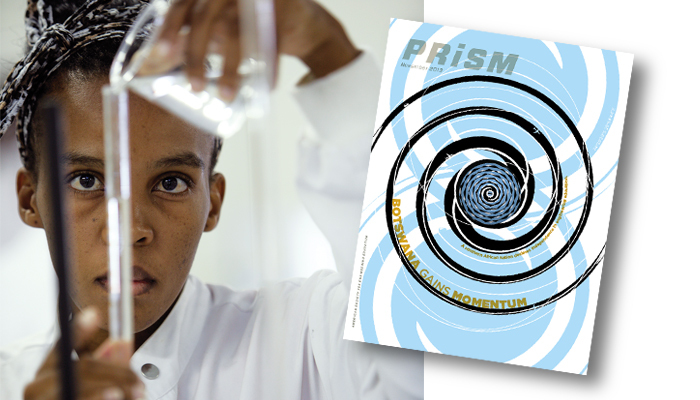 Year after year, Gaborone’s engineering school would admit the top several hundred students who had completed their first year in mathematics, physics, and chemistry – only to see them head overseas on scholarships. “We would accept them in May, and by June they would be gone,” recalls Chuma. The system was “unfair,” acknowledges Maedza. “When we had skimmed off the cream of the 700, we were expecting his faculty to produce the best with those who remain.” Today, rising enrollments – the number of new engineering students is up about 50 percent in two years – have strained departments, but Chuma is delighted to retain his country’s top achievers. About 170 miles northeast of the University of Botswana, an even bolder path for engineering education is taking shape on a hilltop outside the town of Palapye. Just beyond a village where goats and cattle wander across the dusty main road, an imposing $60 million campus of new, earth-toned buildings announces the arrival of BIUST. While a Chinese construction company applies the finishing touches, the first cohort of BIUST students have been taking classes in temporary quarters at an underutilized Gaborone technical school. Some 250 of them, including about 175 engineering students, spent their first year learning from the science and mathematics staff and a solitary engineering lecturer. But BIUST is hiring nine engineering professors and five lecturers this year, and 60 more Botswana engineers have been sent overseas for graduate degrees with the aim of staffing the new institution. James Katende, dean of the College of Engineering and Technology, predicts that within a decade the public university will have 3,500 students, including hundreds of master’s and Ph.D. candidates. It helps that BIUST has friends in high places. Ron Foster, an American engineering professor who heads the department of applied science, marvels at the robust budgets that are proposed and approved. “There is a political will behind BIUST,” he says. “If the chancellor wants to walk into the office of the president of Botswana, he does.” This is hardly surprising considering that Chancellor Festus Mogae headed the nation from 1998 to 2008. Notes Howell: “This is his baby; he is passionate” about seeing BIUST succeed. Unnecessary or not, BIUST’s leadership sees plenty of evidence that the threat of competition already is shaking up engineering education for the better. Katende notes that the University of Botswana had never offered a doctorate in engineering. “Then we say we will emphasize graduate studies, and suddenly they are very eager to take on Ph.D.’s,” he observes. BIUST also promised a department of mining engineering, which Katende believes helped spur the University of Botswana’s decision to stop outsourcing the program to Missouri S&T. University of Botswana professors acknowledge the potential benefits. Boipuso Nkwae, UB’s head of civil engineering, expects there will be some duplication with BIUST’s civil engineering department but welcomes the challenge. “I guess it’s high time we started competing with others,” he says. Students are pleased to have a choice. Olekotse Hope Seretse turned down an offer from UB because BIUST accepted him straight into telecommunications engineering without his having to spend a year proving himself in math and science. Another member of BIUST’s founding class, Itumeleng Kooletile, chose it over UB in part because of the location of the new campus. “It’s going to be better away in Palapye,” he says, “away from the disturbances of the city.” Indeed, Howell says that the school had no trouble finding freshmen for the inaugural class. Of 2,500 applications, 1,500 exceeded the minimum qualifications. BIUST offered places to 300 students, and 267 accepted. The former British protectorate has enjoyed more than four decades of stable civilian government, progressive social policies, and significant investment, creating one of the strongest, most stable economies in Africa. The country also has one of the world’s highest known rates of HIV/AIDS infection. While BIUST draws attention and largess, Botswana’s older engineering school has embarked on its own spending spree. For 18 years, students and faculty had been stuck on a campus designed for vocational courses in the 1970s, with professors squeezed into prefab, mobile-home offices. This year, they all moved into a complex of new, three-story red brick buildings. Overall space for labs, offices, classrooms, and libraries has doubled. “Those University of Botswana engineers, they are big spenders,” says the government’s Maedza. Asked to compare the $28 million, state-of-the-art facility with the sheds previously used for labs, Chuma could only laugh. “They’re simply not comparable,” he explains. Still, many professors worry that they will be moving into the new space before sufficient equipment has arrived. Mechanical engineer Edward Dintwa predicts it will take a number of years to reach the point where “the labs are adequate.” Nevertheless, the high-tech machinery that has trickled in represents a huge leap forward. Nkwae is particularly enthused by the ATS Lever Arm Creep Test System being installed in the new civil engineering lab. “I don’t think even the University of Cape Town has one of those,” he brags. Two large labs in the facility have been set aside for what will soon be the Department of Mining Engineering. Chuma admits that mining “got forgotten” as the university was expanding its engineering programs. This is partly because successful local mining companies – Botswana is the world’s largest producer of diamonds – paid for the overseas scholarships. A close relationship developed with Missouri S&T, and a “3 + 2” system was established. Students spend three years at UB studying fundamentals of engineering, math, and science, and then specialize in mining courses in Missouri for their junior and senior years. Currently, more than 20 UB students are completing degrees in the Show-Me State. Maedza hears from engineering graduates that Botswana companies will hire UB alumni ahead of those who studied abroad; he suspects that companies may trust those who are more familiar with local conditions, having interned within Botswana’s borders. “There’s always an advantage to learning mining engineering in the place where you are going to practice it,” observes Frimpong, who hails from Ghana. UB’s engineering and technology faculty is taking a major step to instill greater confidence in the quality of its program among students, employers, and the wider world by seeking global accreditation. Currently, no school of engineering in sub-Saharan Africa – outside of South Africa – is accredited by a signatory of the Washington Accord. UB has begun that arduous effort with the Engineering Council of South Africa. “The world is a global village now, and an engineer in Botswana should be the same as an engineer you get anywhere,” explains Chuma. Already the engineering curriculum has been reformed to meet the strict criteria. And despite the process being “a hell of a job” that few were prepared to undertake, the engineering dean has submitted documentation to the council and expects provisional accreditation later this year. BIUST, as well, has tried to align its curriculum to meet the council’s requirements and plans to seek accreditation when the university is more fully operational.